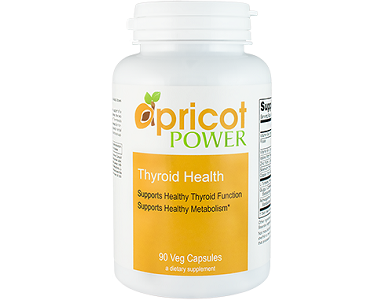 In this review, we discuss the Apricot Power Thyroid Health supplement. 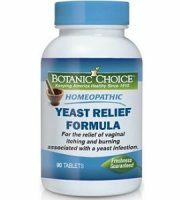 The manufacturer has designed this product to help support a healthy thyroid to ensure a positive well-being. 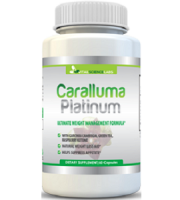 It also aims to help support healthy metabolism resulting in healthy weight management. 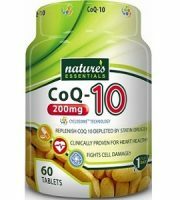 Read on to see what Apricot Power Thyroid Health offers in terms of an effective thyroid product. 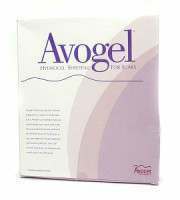 The product is filled with vitamins and minerals that are aimed at supporting the metabolism. 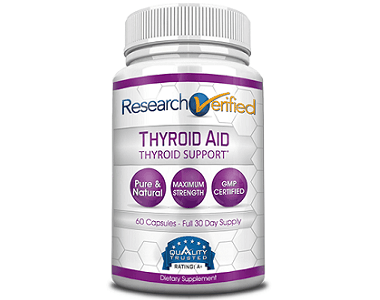 The combination of Iodine and Tyrosine help to boost thyroid hormone production. 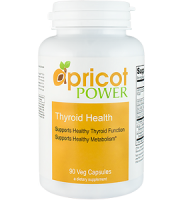 Apricot Power Thyroid Health does not contain salt, sugar, egg, yeast, corn, wheat, gluten, soy, milk, or preservatives. 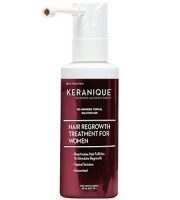 It is also contains a 100% vegetarian formula. The manufacturer recommends that the user should take 2 veggie capsules a day. It can either be taken immediately before meals or it can be taken on an empty stomach. From the research we have done, it seems that the dosage is too high. The manufacturer may have gotten excited when adding the Iodine and L-Tyrosine and added too much. Taking too much of a certain substance may be dangerous for your health. 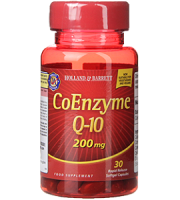 The supplement can be found on the manufacturer’s website. 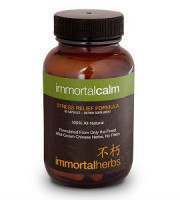 It is sold at $19.99 for a bottle of 90 capsules. This bottle will last for one and a half months. In comparison with other products, this product is priced very low. This may be an indication of low-quality ingredients. Nonetheless, the manufacturer does not provide the customer with the option of bulk orders. 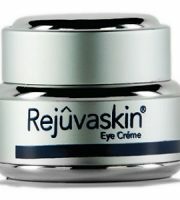 The manufacturer offers the customer a 30-day money-back guarantee. If you are not satisfied with your order, you may return it for a full refund. However, the manufacturer does not indicate if the product may be opened and used or if it must be returned sealed and in its original packaging. Lack of crucial information like this may result in a refusal of a refund. You will be better off searching for a return policy that confidently provides all the information you need to feel secure. 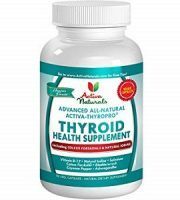 We have reviewed Apricot Power Thyroid Health and found that the manufacturer provides their customers with clear instructions on when and how the supplement should be taken. It also comes in a veggie capsule. Unfortunately, there are many more things that we have found which are not provided by the manufacturer. First of all, the manufacturer sells the product at a very low price which may be an indication of low-quality ingredients. Furthermore, the manufacturer does not provide a solid guarantee which may result in you being at risk. Lastly, the manufacturer has filled the product with an excessive amount of Iodine and L-Tyrosine. This may be dangerous for your health and may not be safe. Due to these reasons, we are unable to recommend a safe and effective usage of Apricot Power Thyroid Health.